On the occasion of Navratri and Durga Puja, the makers of Omung Kumar's revenge saga Bhoomi released the song 'Jai Maata Di', which is all about drama, vengeance and bloodshed. 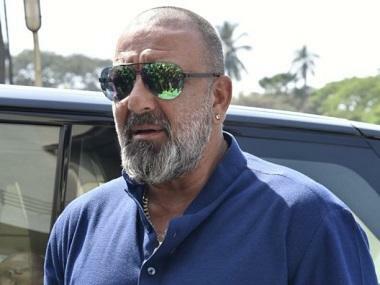 The lead actor Sanjay Dutt returns to not only action but also singing as he croons shlokas in Sanskrit at the start and end of the song. His deep voice adds to the intensity of this high octane song. His fellow singer Ajay Gogavle's powerful voice chants the evocative slogan as Dutt delivers blows to the bad guys. Refreshingly, his onscreen daughter Aditi Rao Hydari, who plays the titular role, also picks up her weapon of choice towards the end of the song. She goes on to join her father in the bloodshed, which evokes the image of Durga. Thus, it was only befitting that this song, composed by Sachin-Jigar and penned by Vayu and Utkarsh Naithani, was released on the occasion of Durga Puja and on the eve of the film's release. 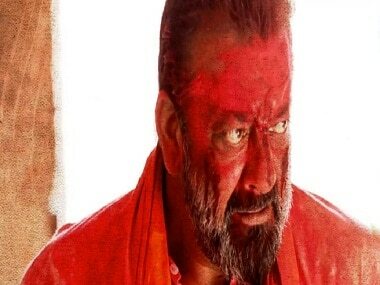 Bhoomi also stars Shekhar Suman, Sharad Kelkar and Sidhant Gupta. It is co-produced by Kumar's Legend Studios and Bhushan and Krishan Kumar's T-Series Films. It is slated to release on Friday, along with Apoorva Lakhia's crime biopic Haseena Parkar, Amit V Masurkar's black comedy Newton and Dhwanil Mehta's horror film The Final Exit.